Titan Spray Guns | Hawk Research Laboratories, LLC. The Titan Maxum II pressure feed paint spray gun is typically used for covering large surfaces like bathtubs, countertops or cabinets. 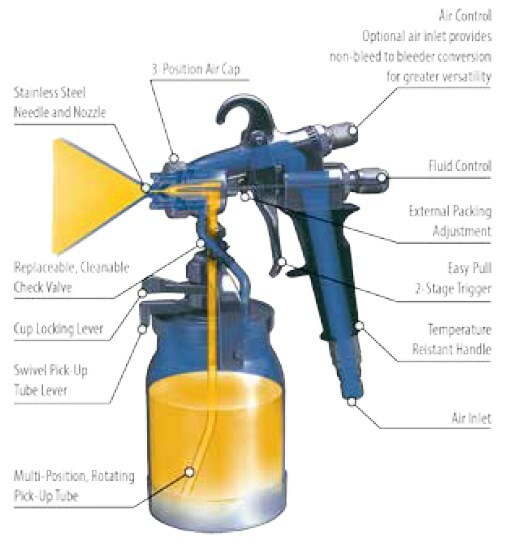 Simple solvent-resistant spray gun and cup design is easy to clean and maintain. 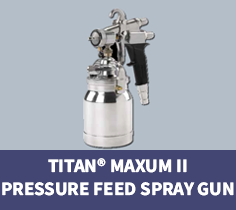 pin, the Titan Maxum II gun can be converted to a soft pull trigger, providing maximum comfort when spraying lighter viscosity coatings, such as stains and sealers.